Taking training by on-line video can be a fast, effective and easy way to complete a wide variety of training needs. With popular courses starting at just $19.95, it is also very affordable! It is easy for an individual to sign up for one or more courses. Payment is on a per-course basis and is paid for by credit card. Course Preview: see list on the left and identify those you wish to take. Course Activation: click on the link below the list of courses at the bottom of this page (and inside each course preview). This link takes you directly to our Heart & Safety "shopping cart" of available courses and course fees. Course Registration: click on the "Add To Cart" button beside the selected course(s) to place the course(s) in your "shopping cart". Payment Process: after you have completed your selection of courses, press "Checkout" to start the registration and payment process. Contact/Billing Process: enter the email address and password that you will use to finalize the registration process, as well as the billing information for your payments. The first email will be immediate, confirming your on-line purchase. It includes a direct link to start your training at www.heartandsafetyonline.com. The second email will be a receipt for your on-line purchase. 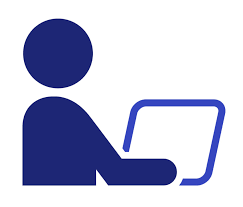 Once you've registered for on-line training, you can use the same email and password to register for additional courses through the Heart & Safety on-line "shopping cart". Need a group from the same company to be trained? We can provide your Company with your own Learning Management System! We can set up your company with a central administration account so you can add and authorize multiple employees to take on-line training! Contact Heart & Safety to find out more.